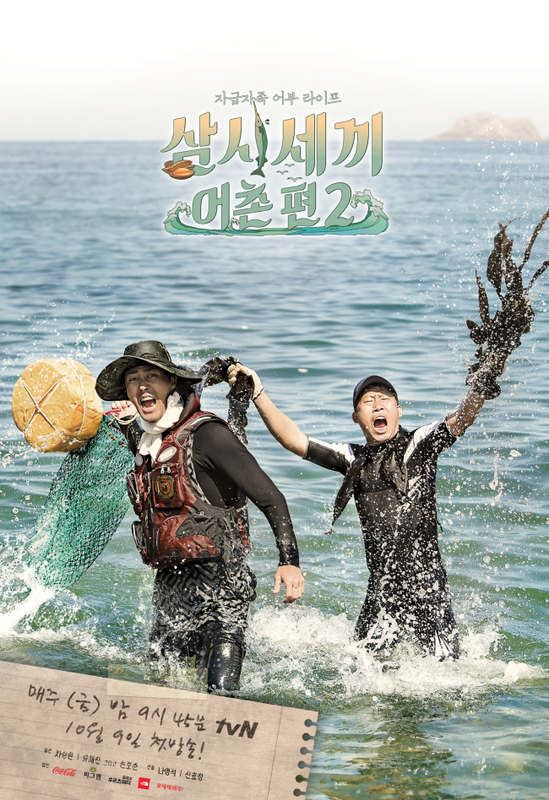 The first season of “Fishing Village,“ which aired in January, was a spin-off of the original “Three Meals a Day,” starring actor Lee Seo-jin and singer-actor Ock Taecyeon. On the show, stars try to maintain a self-sufficient life in the countryside by preparing their meals from scratch. At the press conference, producers Na and Shin Hyo-jung, as well as writer Kim Dae-joo said that although the second season will have the same fixed cast and the same location as the first season, the content will feel different because of the changing seasons. “It‘s not the harsh winter environment anymore. It’s very beautiful, and the things that happen are very different from the wintertime,” said Kim. “Just because it‘s summer doesn’t mean that everything is perfect,” said Shin. “There are difficulties that are just as harsh as in the winter.” As an example, Shin said that it was agonizing for the cast to see the waters full of fish, but be unable to catch them. 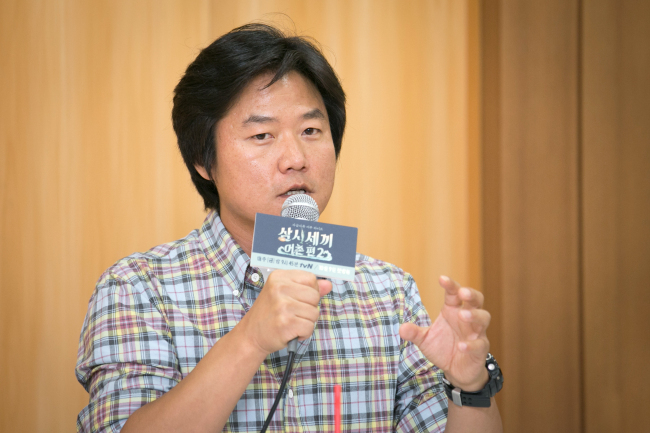 When asked about the aspects of the show that have been upgraded for the second season, Na said that the appeal of the second season was the continuity from the first. This everyday concept is magnified by the lack of specific direction or missions given to the cast by the staff. Na, who is known for his difficult and sometimes ridiculous missions on his various programs, such as “1 Night 2 Days” and the more recent “New Journey to the West,” said that was more out of necessity than planning. Na said that Cha, Yoo and Son were left to their own devices, free to cook what they wanted or even to skip meals -- and that allowed them to enjoy their island life even more. “Cha Seung-won has become very ‘Yoo Hae-jin-ified’ in the second season,” Na said, explaining that in the first season Cha had been driven to create great dishes from the limited ingredients while Yoo had been the laid-back, “que sera, sera” character. “(The show) may seem boring to some, but you can really see the cast being self-sufficient and having fun on this season,” Na said. The first episode of “Three Meals a Day -- Fishing Village 2” airs Friday, featuring singer and actor Park Hyung-sik as the first guest. The show airs every Friday at 9:45 p.m. on tvN.